DVB-T is the abbreviation for Digital Video Broadcasting-Terrestrial - the terrestrial version of digital television and radio. It is the standard for terrestrial distribution of digital radio, television and data signals throughout the earth's atmosphere. Terrestrial is used in combination with signals received through a conventional aerial. DVB-T is a variant of the Digital Video Broad-casting (DVB) which is the primarily used standard for broadcasting digital television and radio through an aerial in various European, Asian and African countries, as well as in Australia. The North American equivalent to DVB is ATSC, Japan has ISDB and the People's Republic of China uses DTMB (previously DMB-T/H). Digital broadcasting allows a more efficient use of channels than with analogue technology, as several broadcasts can be transmitted per channel. At the end of 2010, some 52 million households throughout Europe were using DVB-T, 10 million more than one year before and equivalent to 21% of households with televisions or a third of households with digital televisions. DVB-T, then, reaches a higher distribution than digital cable television. This is a clear indication that a functioning broadcasting infrastructure must be ensured and guaranteed. 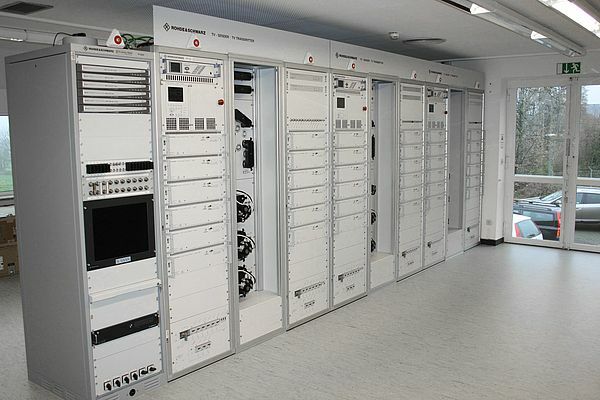 To be able to guarantee comprehensive DVB-T transmission, broadcasting stations have to be distributed regionally - or decentrally - throughout the transmission area. 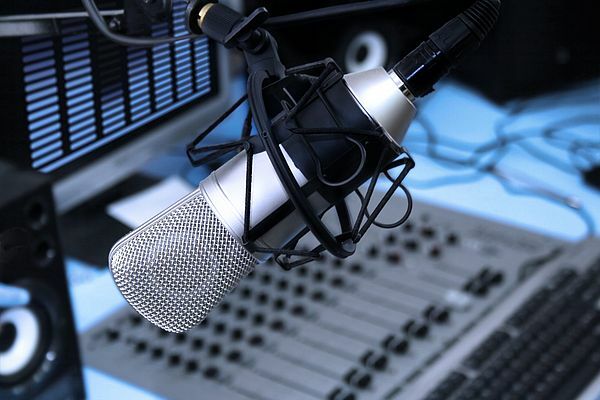 Some of the broadcasting stations have to be connected to already existing electrical infrastructures. Primarily 3-phase power supplies with B6-rectifier bridges are used in the station output stages of the transmission equipment. The power supplies draw non-linear (not sinusoidal) currents, which are causing substantial harmonic voltage distortion in the low-voltage distribution network. This leads to additional losses, increased thermal load on the output stages and cabling and a severe distortion of the mains voltage. This negatively impacts both the power quality of the entire infrastructure including all connected consumers as well as the transmission equipment in the transmitter itself. In consequence power supply defects and outages and potential disruptions in the transmissions occur more often than normal. ECOsine Active harmonic filters can provide assistance here. The Schaffner FN3420 series advanced active harmonic filters in 3-wire configuration takes over the harmonic compensation. They constantly measure and analyze grid problems and draw sinusoidal current (like linear load) and thus eliminate current and voltage harmonics. This reduces the load for the entire electrical infrastructure and ensures a near-optimum power quality with guaranteed observance of harmonic standards and guidelines, including EN 61000-2-2, EN 61000-2-4, EN 61000-3-2, EN 61000-3-12, EN 61000-3-3 and EN 50160, TOR D2, IEEE 519-1992 and D.A.CH.CZ. 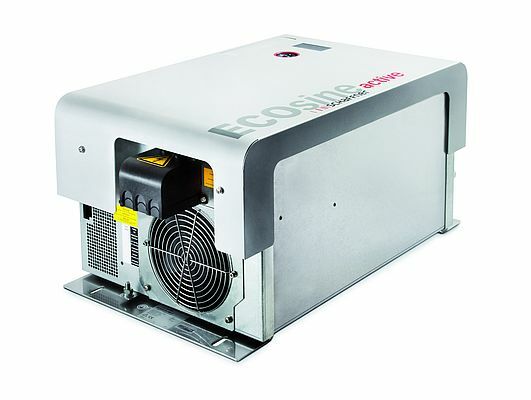 Because the ECOsine Active filters automatically adapt to existing and changing disturbance patterns, the transmission equipment can be switched from transformer to generator mode during full operation, without significantly affecting filter performance. The approval measurements after installation of the active filters show that the problems of harmonic loading in the mains have been corrected sustainably. Therefore measurably fewer equipment failures and malfunctions can be expected. 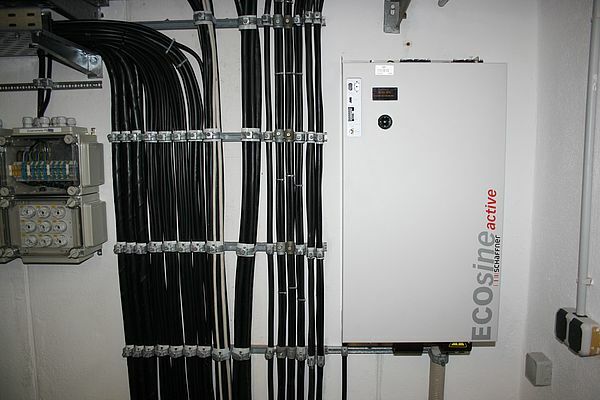 Thanks to the specific use of ECOsine Active, the complex transmission of the most diverse programs in the digital television and radio world at the highest level is guaranteed. Alongside the overall or selective reduction of up to 50th order current harmonics, all ECOsine Active filters can also be selectively used for dynamic reactive power compensation, load balancing and flicker compensation (if caused by reactive power). Series FN3430 ECOsine Active filters in 4-wire technology also mitigate harmonics on the neutral wire and are particularly qualified for the reliable compensation of 3rd and triple harmonics.